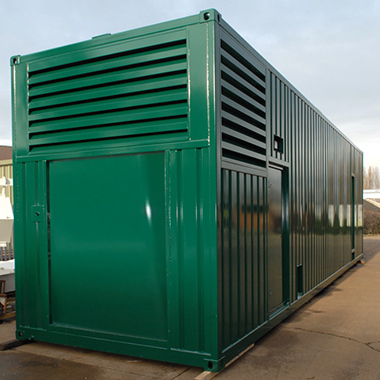 Containerised solutions are particularly appropriate when finding space to install the equipment in existing buildings when it is difficult to find space to install the equipment in existing buildings. Demand for UPS is increasing with the large number of call centres now being created, and these are often in existing buildings, which have no provision for additional electrical installations. Bradgate containers are the obvious answer. 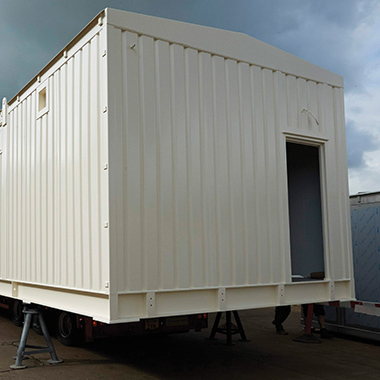 In addition, pre-fabricated, ready-to-run solutions from Bradgate avoid disruption on site, and the modules security features prevent unauthorised access to the equipment. 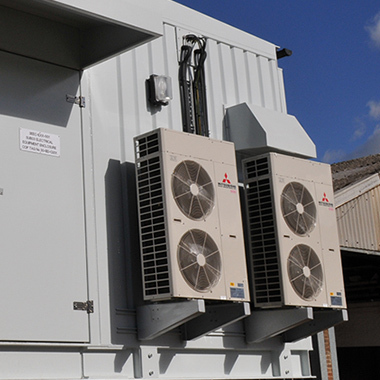 The completely weather-proof construction, with bespoke designed ventilation and air conditioning, ensures the right environment for the equipment’s long-term, reliable operation.